Nuts & Bolts: "Modifications: Injuries or Upgrades?" A big segment of the sports car-collecting hobby is moving toward keeping things perfectly stock. It’s becoming unfashionable to change an original paint color or even eliminate hubcaps in favor of aftermarket wheels. Sure, the resto-mod craze is raging in the American muscle segment of the market. 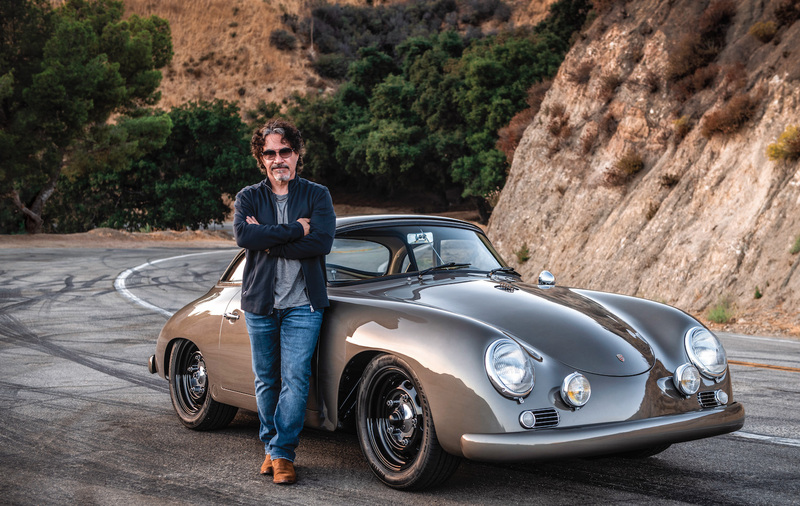 In our world, there are pockets of protest from the Outlaw Porsche 356 and Porsche RS groups. The attitudes of Tiger owners are changing, however. These enthusiasts used to be the first ones to flare fenders and add monster motors to their cars. The fact that Tigers weren’t worth much and were rather unimpressive in stock form probably led to a lot of these modifications. Another factor: American hotrodders were attracted to the cars’ light weight, cheap prices and American V8 engines. Now that prices are rising for cars like Tigers and Porsches, things are different. It’s now considered sacrilegious to modify them. Times may have changed, but I’m not sure I have changed much. I’m trying to get into concours restoration and am going that route with our Mini Cooper S. I have no intention of modifying the 1965 Mercedes-Benz 220 SE B coupe that I just bought either. 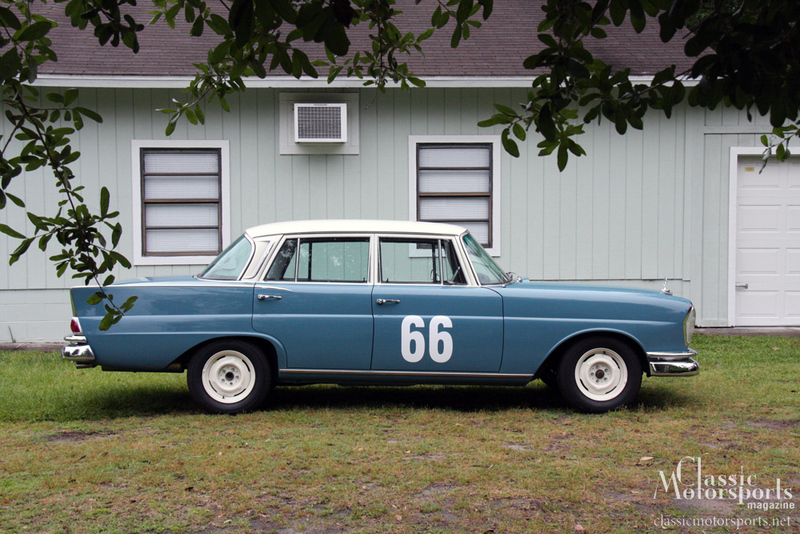 That said, I recently acquired a 2.8-liter engine for the 1966 Mercedes sedan I’ve been writing about on these pages. I asked the guys at the Mercedes-Benz Classic Center what they thought of the swap. As staunch supporters of originality, they pooh-poohed the idea–big time. I didn’t listen to them. For $600, I picked up the 2.8-liter, single-overhead-cam engine from a 1970 Euro coupe. I’d heard from some friends that the swap wouldn’t be that hard, and I guess I wanted to see if I could do it. I am a strong subscriber to the theory that if you buy the car, you can do whatever you want with it. Though I cringe when I see a Sunbeam Tiger with big flares and sidepipes, I understand that it’s every enthusiast’s right to modify his own car as he pleases. Of course, I prefer a more subtle touch of the artist’s brush. I like to perfect what the factory started. Quite honestly, when it comes to modifying old cars, two bits of reality are at play. First, most old cars aren’t that good. They were designed in a different era, without the aid of computers. We talk about the good old days, but a lot of the old cars we play with lack the quality of the cars those same companies make today. If my old Mustang were made as well as the new Ford Fusion I drove the other day, I would have the best car in the world in that Mustang. Sadly, the Mustang rattles a bit more and the ergonomics are not nearly as good. Second, there are just so many more ways to fix and improve old cars today. From message boards telling me how to swap the 2.8-liter into my Mercedes to Wilwood brake kits for my Mustang, there are so many solutions available that it’d be a damned shame not to take advantage of some of them. So when it comes to modifications, what is okay and what is not okay? Well, that depends on what you’re doing with your car, what you’re willing to spend, and whether you ever want to be able to sell that car again. It also depends on what you’re starting with. In the case of my Shelby Mustang, what I did was probably ill advised. That is a very rare car, and I just had to mess with it. But I didn’t start with a clean, original car. I started with a worn-out rat that was missing much of its original engine. Under these circumstances, the cheapest and quickest way to go was to use a crate engine. As you’ll read in the next issue, I also fixed the handling and the power steering. The car now drives so much better and is twice as fast as an original Shelby Mustang. I now have it the way I want it and have no plans on selling it. I’ve wanted one of these cars since I sold my first one in 1982, and finally I’ve found the car of my dreams. As for the Mercedes, the reality is that it’s essentially not a very valuable car. I found it in terrible condition, and against my own good advice I decided to restore it. I’ve already modified it with a disc-brake rear end, a limited-slip differential and a color change, so why not add a little more motor? The newer engine has seven main bearings instead of five, so it’s a lot smoother and stronger. And if you’ve ever driven one of these cars, you’ve probably asked yourself why Mercedes spent all that time and energy on safety, handling and comfort and none on putting some ponies under the hood. So out comes the old engine and in goes the new engine. It will look exactly the same but theoretically give the car much more power. Modification is a double-edged sword. You can quickly go too far and ruin a car, making it edgy, rough-riding or just unbalanced. I don’t think anyone would argue against my swapping one of HVDA’s five-speed conversion kits into my Triumph TR6. Even at auction, where originality is paramount, this mod would be considered a plus. Switching from a black vinyl interior to tan leather wouldn’t cause many purists to raise an eyebrow either: Tan was an original interior color, and it’s much cooler than black in the Florida sun. Plus, everyone likes leather. But would it also be okay that I switched to the optional wire wheels? That may fly, but the purists–at least the ones who knew what they were looking at–could get weak in the knees if they noticed the upgraded front anti-roll bar, the later TR6 dual exhaust, and the twin SUs that replaced the very crappy Strombergs. Of course, we’re heading down a slippery slope here, and along the way we’d probably notice that aftermarket console and the great leather-wrapped Moss Motors steering wheel. Taste is personal. If you want to paint your BMW 507 jet jet-black with pink stripes, go ahead, but plan on keeping it forever. I would suggest modifying in more subtle ways and keeping in mind that most of us aren’t engineers–it’s easy to go too far. Most of all, I recommend getting out and enjoying your car, whether it’s stock or modified. I know I will, especially when I get that bigger engine installed. Join Free Join our community to easily find more Mercedes-Benz and Triumph articles. If I recall, nothing you did so far or proposed to do is irreversible. It's not like you tubbed the car or anything. Second, you took it on a long family trip and it didn't fit your needs. There's enough old Mercedes sedans around so no one would object,especially since the actual driving experience will be so much better. As for your Shelby, you didn't hack that car up either. You said yourself the "original" motor wasn't entirely original. I'm sure you still have it somewhere. Regardless of what purists think, if you didn't step in and "restore" it, the car would probably end up parted out. Should you go absolutely crazy one day and decide to sell it, the Shelby will be a MUCH better basis for a ground-up original resto than the rode-hard-and-put-away-wet thing you started with, especially considering the rust. Finally, if everybody wants concours-correct cars, why is a certain Corvair burning up eBay as we speak? Plenty of non-stock goodies on that one but that hasn't stopped the price going up 64 times.